May 31st marked the end of National Hamburger Month, and with that date came the end of the month long #sacburgermonth local celebrations. Thank you to everyone who tweeted, posted, checked-in photographed and most importantly, thank you to those who ate a local burger during Sacramento Burger Month. 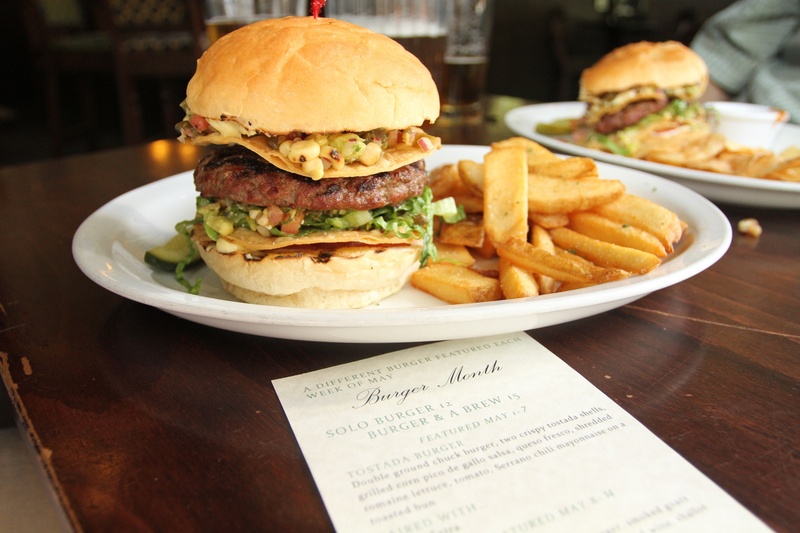 de Vere’s Irish Pub came through with a different burger creation each week! The off menu Junky Burger and “dessert burger” was a great hit at The Eatery in West Sacramento! The grand finale for #sacburgermonth was the Canon EOS DSLR camera that I was giving away to one lucky tweeter. Congratulations to Gena Riede (view photos here) (@genariede) who was randomly selected by Tweetaways.com from over 250 entries through Twitter. The burger fun in Sacramento definitely isn’t over though!